Hello everyone! 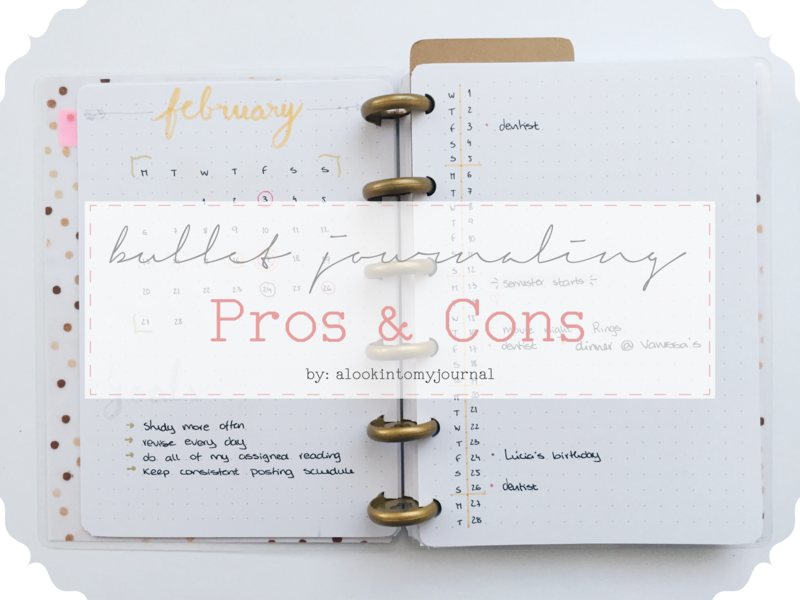 Today’s post is about the pros and cons of bullet journaling. You’re not stuck with a layout, color scheme or spread. You can change it to your liking and needs. Don’t like your habit tracker page? Turn the page and create another one, it’s that simple! And those were the pros and cons I found in bullet journaling – not only for myself, but in general. I hope you liked reading about my perspective on this system, and definitely let me know what you think in the comments below – I would love to learn about your thoughts! !